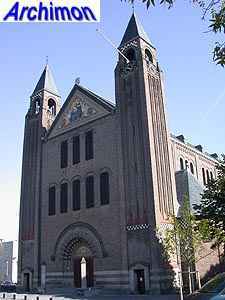 This church, the name of which means "Church of the Holy Family", was built in a style that was inspired by early Romanesque churches in Germany. 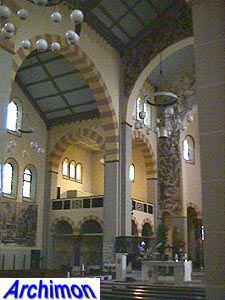 This is a cruciform basilican church with two front towers, a transept which is lower than the nave and an apse with ambulatory. 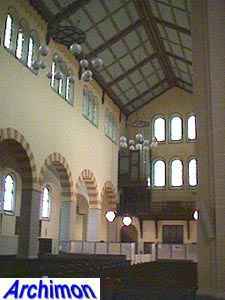 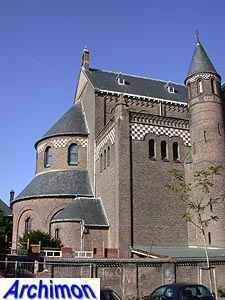 The transept-arms each have stair-turrets. 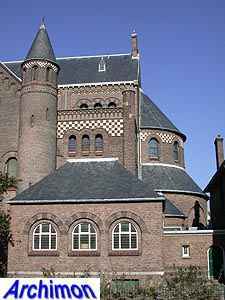 On both sides of the front are lateral chapels. 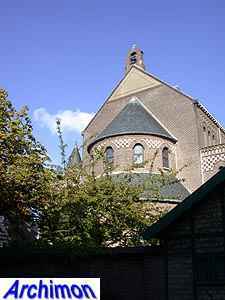 On top of the front is a mosaic representing the Holy Family. 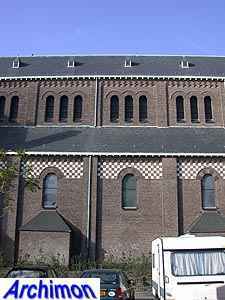 Stuyt's usual chessboard-like tile-decorations, are present in abundance. 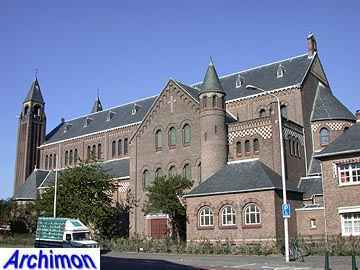 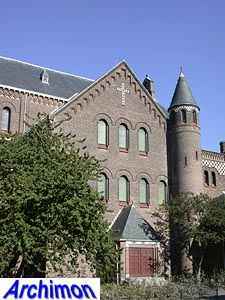 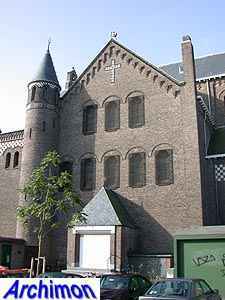 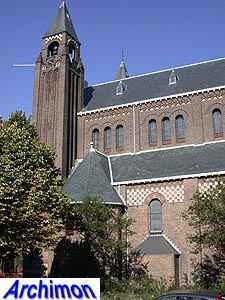 Overall, the building shows many similarities in style with Stuyts earlier churches in Weebosch (1907) and Heerlerheide (1909), except for the front which in this case is much more richly decorated. 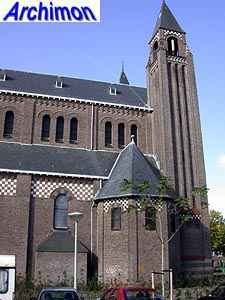 The look of the church is spoiled to some degree by the presence of antennae for mobile phones in the towers, a now popular way for churches to generate some income, and of protective screens against vandalism.